The Series PTÖK round bell housing with integrated oil air cooler has been designed for electrical motors with 0.55 up to 22 kW and allows a high cooling capacity with low noise output on the smallest installation space. Due to identical installation lengths, the standard bell housing can be replaced easily with a bell housing with oil cooling at any time. 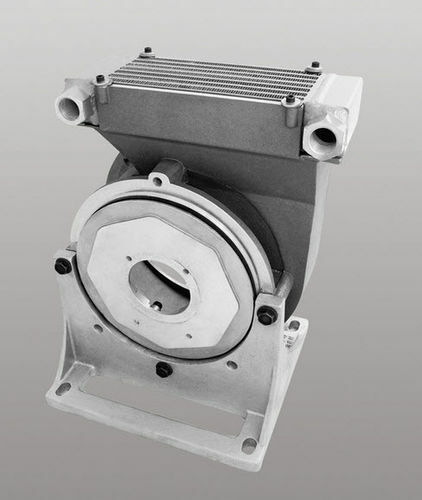 The TFS/A compact partial flow cooling unit was developed to improve the availability and reliability of hydraulic systems. Due to its combination of a motor pump unit and an oil air cooler in one device, the TFS/A is an autonomous unit, which can be operated independently of the main system. Thereby, continuous cooling is ensured.